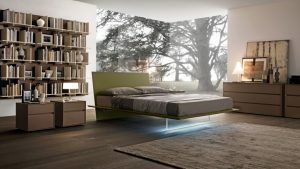 The Aqua double bed expresses the utmost in lightness while blending modernity with the pleasure of wood perceived by the touch and sight. 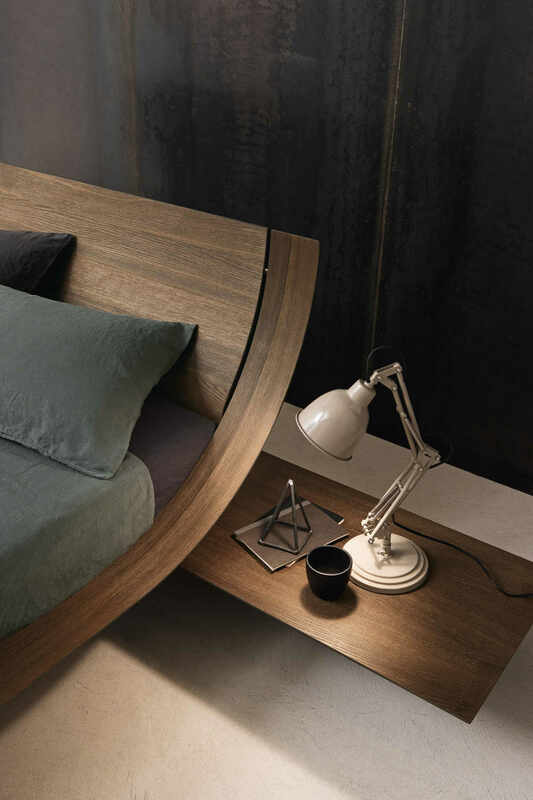 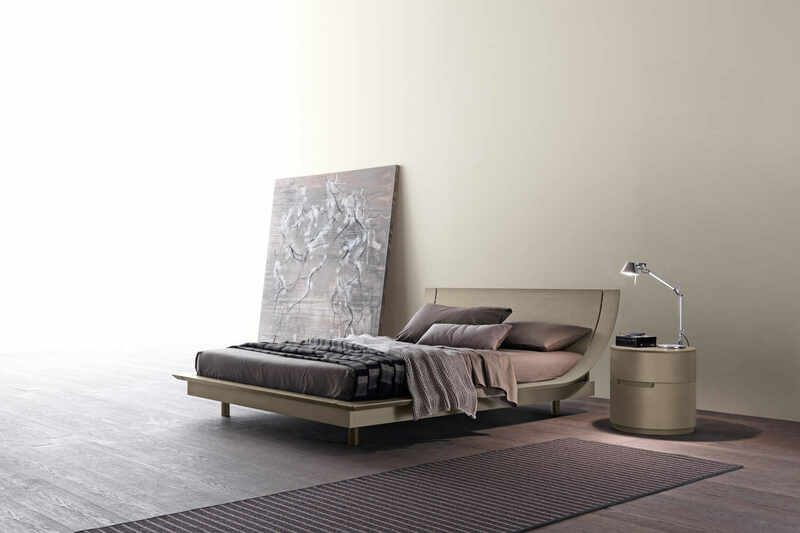 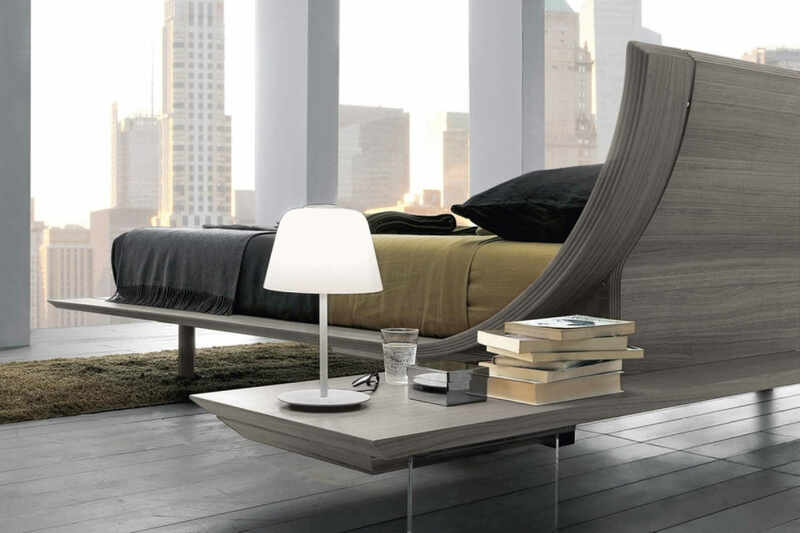 A single curved multi-olywood panel turns this wooden double bed into a refined work-of-art. 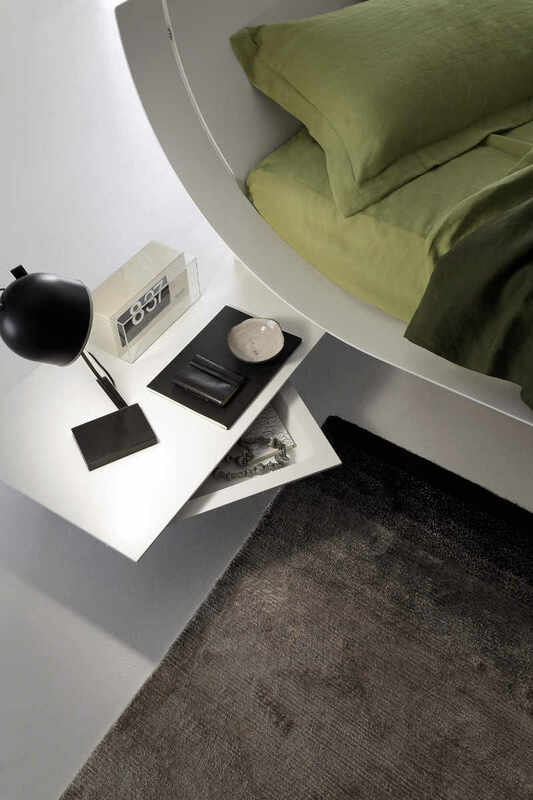 Two pullout trays attached to the headboard complete the arrangement for a bed that offers functionality and design. 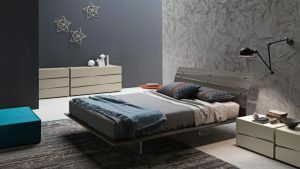 The double wooden bed is supplied with an integrated self-bearing slatted base with beech slats: 6 slats have rigidity regulators and 4 slats have different risistances for shoulder support.